Dubai: Dubai’s latest “city” has opened its doors wide to residents and with expectations of many to come. And what’s more, it already has a bustling “downtown” even as developers keep filling up spaces within the city itself. Welcome then to MBR (Mohammad Bin Rashid) City, set to emerge as the next hot spot for the priciest living spaces in Dubai and located within easy reach of Downtown Dubai. 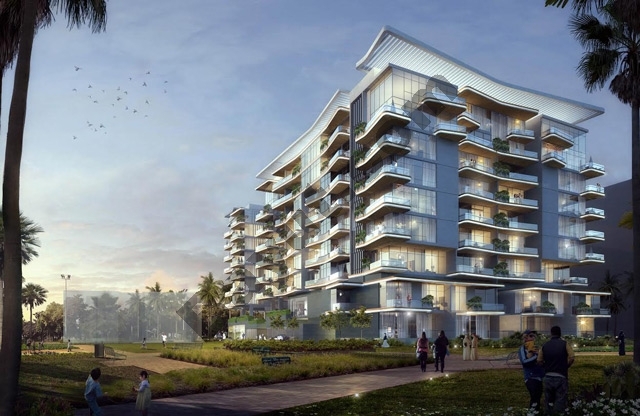 Other developers such as Sobha, Emaar-Meraas, Meydan and MAG too have projects in fairly advanced mode. A substantial portion of the properties Meydan is building now has been earmarked for use by senior staff at the Emirates Group. It won’t just be prime residential options that entice buyers at MBR City. There will be one of the world’s largest shopping malls from Meydan and a ski slope, for sure. And there are the green spaces and water elements. MBR City happens to be one of the few global destinations — other than London and Mumbai — to feature both a racecourse and a golf course (both operated by Meydan) within proximity. Because of its sheer size (MBR City will be all of 14 million square metres) and complexity (with as many as 11 “districts” making up the whole), the impression among many in real estate circles was that it the end of the decade before it becomes a full-fledged cluster (or city). “True, there are only a handful of developers who have mounted projects on-site at the moment and it could be a while before others start moving in,” said Chavan. “But the ones who are there have had a head start and apart from the projects, the infrastructure needs of the individual districts are getting added to. Investors will be paying close attention to MBR City, if they haven’t done so already. Dubai’s other luxury residential attractions — the Palm, Downtown, Emirates Hills and some of the towers at Dubai Marina — don’t have too much of spare space for new projects to be put up. That’s the reason Dubai needs to create alternate options for these buyers. In this regard, MBR City and Dubai Creek Harbour (its credentials boosted by the announcement of the next tallest structure in the world, The Tower) will be the top picks going forward. According to Core, the property consultancy, upscale residential properties in Dubai currently are 60 per cent below what a comparable unit goes for in New York. The gap is 75 per cent for homes in prime London addresses and 86 per cent compared with Hong Kong’s. In this regard, units at MBR City have managed to hold their own during the soft spell Dubai’s property market is going through. “We had a launch price of Dh1,375 a square foot and which dropped to Dh1,275, which is marginal against the overall market decline Dubai realty experienced,” said Chavan. “Until more attractions come up within MBR City in the next three to five years, the biggest plus for high-end investors is the development’s proximity to the Downtown. It will be a big selling point. “That’s what driving a lot of end-user activity into MBR — by our estimates, 60-65 per cent of those who bought into Millennium Estates (from G&Co.) are end-users. That’s an extremely high percentage for such developments going by Dubai’s realty track-record. * At the Palm, most owners seem to be in a “holding” pattern. Rather than sell at a lower price, they are willing to wait until the next upturn comes around to realise their anticipated price. It could be by Palm based transactions for super-premium units — of Dh10 million and above — were down 44 per cent year-on-year. However, “Sales prices per square foot remain relatively steady with only a 4 per cent year-on-year drop as landlords continue to command prices for well-maintained or refurbished properties,” says the Core report. * Downtown Dubai saw residential sale prices drop 12 per cent, buffeted by the market slowdown. This forced investors to take the longer term approach on their exit plans. Overall transaction levels are down 19 per cent within Downtown’s residential market. Existing apartment stock in Downtown approximates at 8,000 units and an additional 3,000 units are expected to be ready by 2020. “Once complete, we expect prime residential in Downtown Dubai to rise over the muted market, as the district becomes central to the financial and commercial core of Dubai,” says Core.